Destiladeras Mexico is just a short distance west of La Cruz de Huanacaxtle in Riviera Nayarit and only 22 miles from Puerto Vallarta. 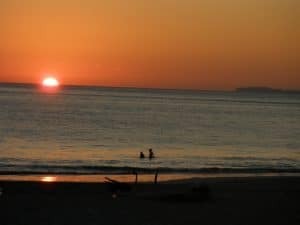 Upon arriving, you will be enraptured not only by the beautiful scenery of Banderas Bay, but also by the family-friendly and welcoming ambiance that can be felt all along the five kilometer (three-mile) Pacific Coast beach. It is common to see groups of young people and children playing with a ball, building interesting sand castles, or jumping into the waves with their boogie boards. Destiladeras Nayarit has a name that can be attributed to a now-extinct freshwater waterfall. The golden fine sands of Destiladeras beach anticipate a promising future. The proposed construction of luxurious resort hotels, a beach club, first-class spas, restaurants, and a golf course will surely cement the reputation of this area on Mexico’s west coast as a dreamlike destination for golfers who want to vacation in Riviera Nayarit. Until these dreams become a reality however, you can share the tranquility and warmth of the warm Pacific waters of Banderas Bay with family and friends. It is common to see happy tourists trying their hand at activities such as kayaking, sailing, bouncing along on a typical banana boat, or running towards the warm waters of the Pacific Ocean with their colorful boards at the ready. For those travelers who are a little more adventurous, on the southern part of Destiladeras beach the waves can reach up to a meter and a half (five feet) high, a true delight for surfing enthusiasts. If you are of a more reserved nature and you seek tranquility and rest on the ocean shore, Destiladeras Mexico is also the ideal spot for you. Destiladeras beach encourages relaxation, contemplation, and mental cleansing. Enjoy a stroll along the fine sand beach as you relax to the sounds of the waves and the sight of a breathtaking Pacific Ocean sunset. The food connoisseur will delight in the delicious dishes served in the local seafood restaurants. Many of the eateries are housed inside traditional thatched-roof huts where you can listen to accordion music and sing along to traditional Mexican tunes. 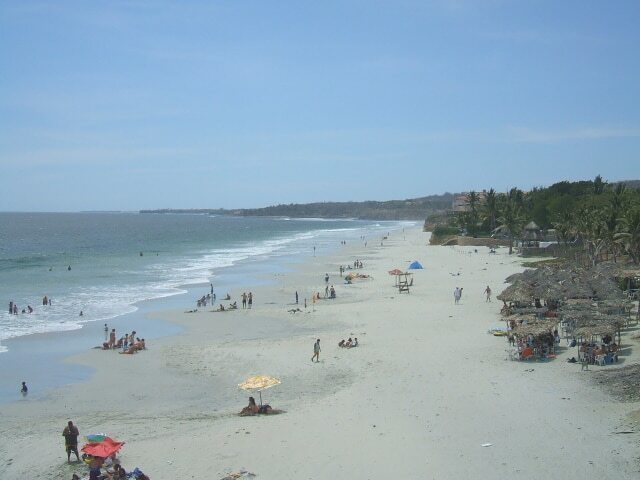 When you vacation in Destiladeras Nayarit Mexico, we recommend staying at Rancho Banderas Playa de Destiladeras. We encourage you to make reservations today!